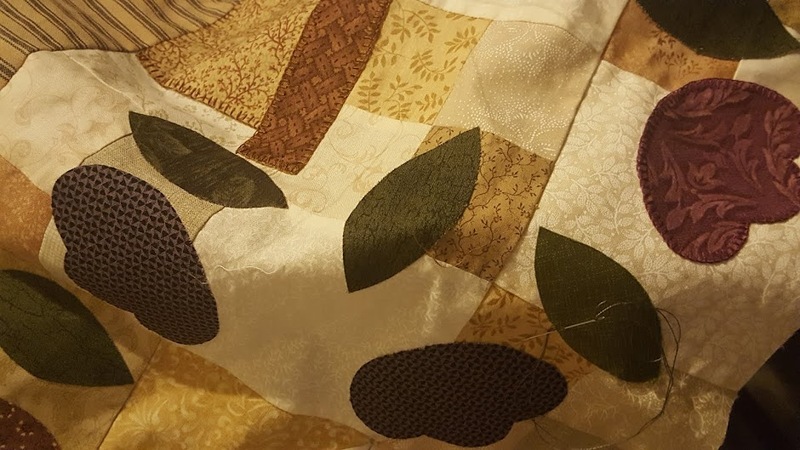 Country Quilts and Dolls: Tuesday's Treasures - better late than never! Been a bit of a week with doctors and as yet, no clear answers on what is wrong with DH. He's not able to do much without the chest pain returning but still nothing clear medically. So, I'm late with Tuesday's Treasures - maybe more aptly titled Wednesday's Wonders. My daughter, Esther and her latest quilt. My daughter was born in 2000 - after many heartbreaking years of IVF and losing many, many babies we decided to give up and foster children. 18 months into fostering (4 boys) and we already had our own son, I discovered I was pregnant. Esther is the result. Definitely a rose amongst the thorns - said very lovingly, of course. She has been a joy to have and I know that I am her mother and therefore, I'm supposed to say that, but thankfully most others say it as well. She loves life and has many and varied interests - swimming, running, netball, dancing, scouts, and horse riding. Never sure where she got all these interests from - I can honestly say, not her mother!! However, she also loves sewing and lots of other craft activities. So I can see me in her in that. She loves school so once again a shared interest. She wants to be a vet when she grows up. So, after lots of heart ache and disappointments Esther was sent to us as a very precious gift and definitely a reward worth waiting for.